Tis the Season Ohio's largest year 'round Christmas shop offers three floors of Christmas wonderland. This unique store is in a round building which adds to its appeal. The main floor is divided into various sections creating a village type of area. 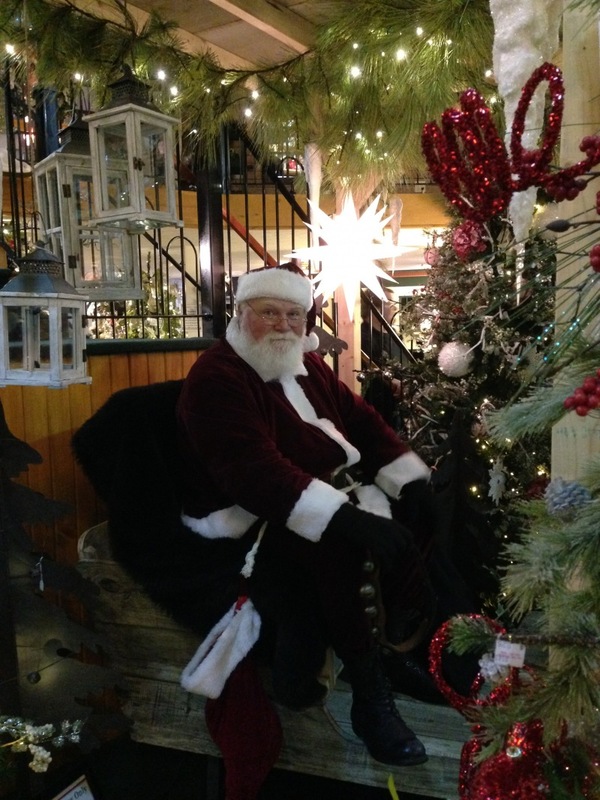 Small buildings have been built into the store and you will enter the main part of the store through a log cabin made of real logs and a working fireplace. This area offers you primitive gifts and decorations. Once through the cabin you will see one of the most popular places the Alleluia Chapel where antique pews, stained glass windows and a multitude of angels welcome you. Along with the angels you will also find other religious items for sale. A third building is the Vintage room filled with decorations that will take you back in time. Next to it is the Williamsburg House. Here you will find our selection of Byers Choice dolls along with Williamsburg type of decorations. 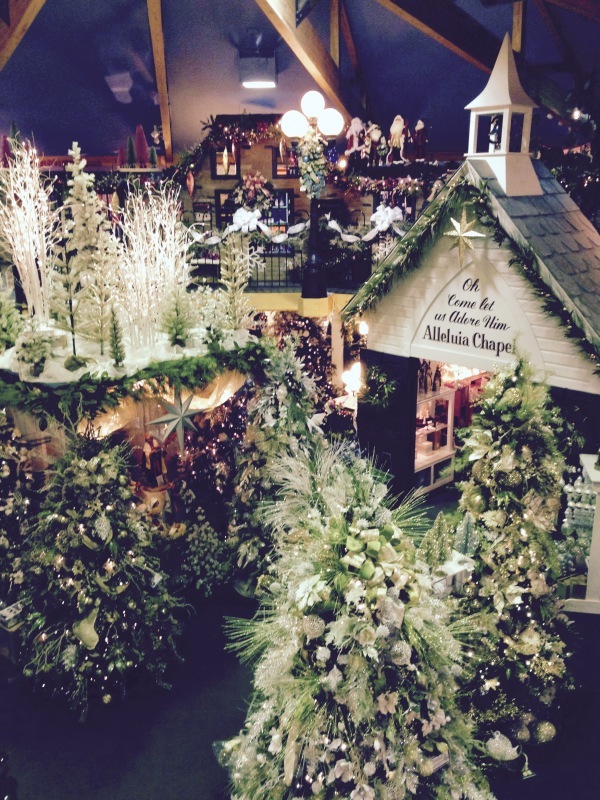 On the main floor you will also find a large selection of traditional decorations as well as candy, gingerbread, golds and silvers. 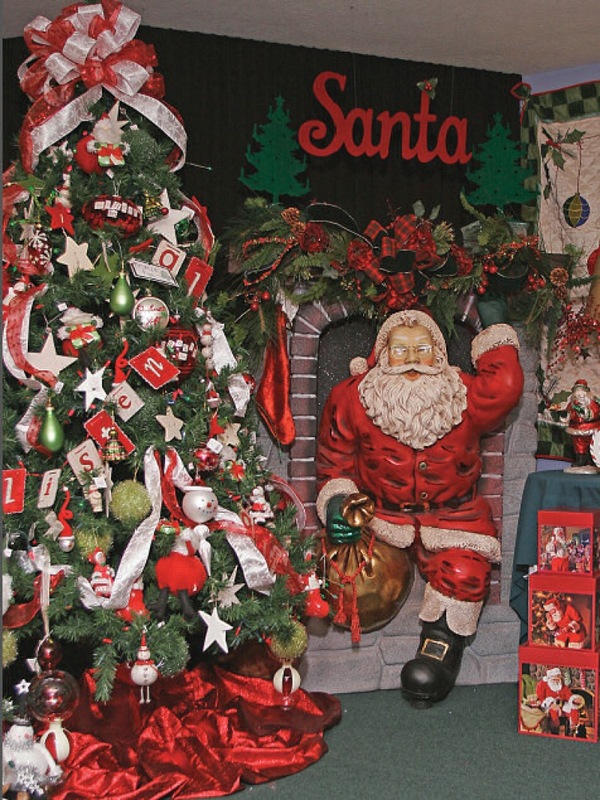 If you want a special ornament for a favorite teacher, your pastor, doctor and your grandchildren who are involved in sports or other hobbies you will enjoy the personalizing room filled with hundreds of ornaments for everyone on your list. There are Victorian, bird, music sections as well. The top floor overlooks the main floor and you will want to pause for a minute to just enjoy the sites. Street lights line the area and each shop offers something different. A large room of snowmen fill one area while another one offers Holiday serving plates and teapots, mugs and linens. Safari, tropical and cartoon areas are also found on the top floor. If you collect villages and accessories there is a nice selection to choose from to add to your village. Snow globes, music boxes and advent calendars give you lots of variety to choose from. On the lower level you will walk through a forest of trees. 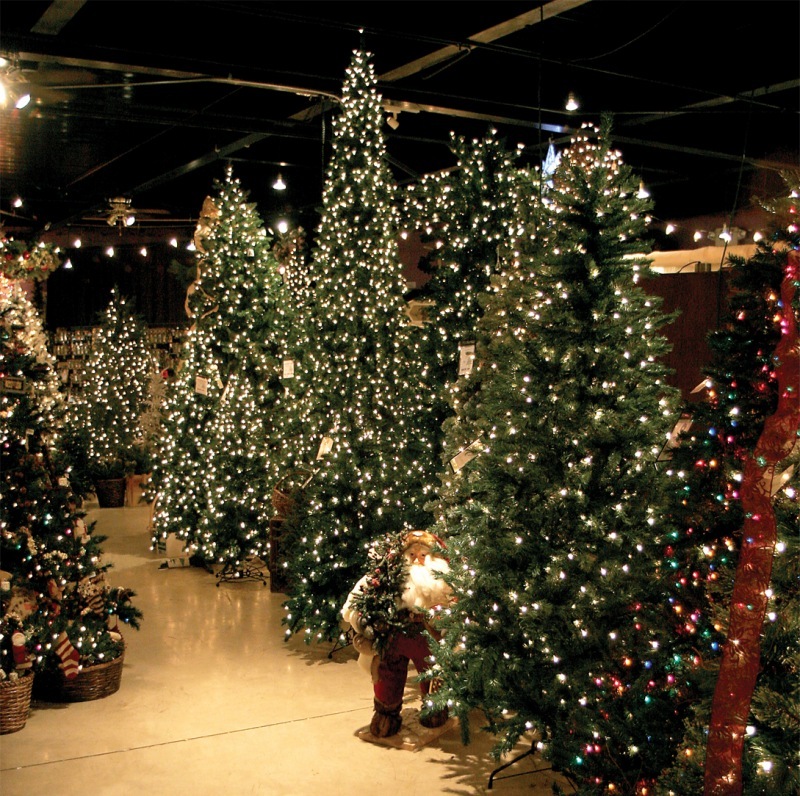 Tis the Season sells trees from as small as 2' up to 12'. Prelit as well as unlit, from lush green to primitive and everything in between you will find a tree just right for you. More than 75 types and colors of lights for your decorating needs are on display. If you're an Ohio State Buckeyes fan this is where you will find it. Visit the Bethlehem Inn and find the nativity you've been looking for. 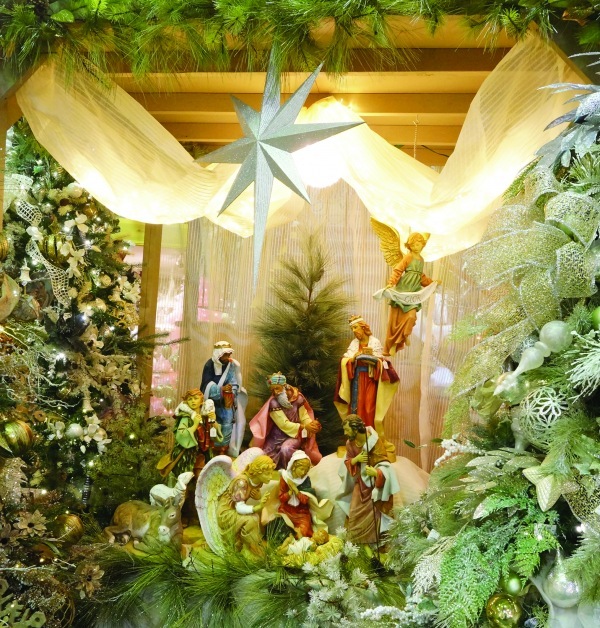 We carry lots of variations of nativities as well as pieces to add to it to create a Bethlehem village. Tis the Season offers a large collection of collectables including Fontanini, Steinbach nutcrackers, Christopher Radko, Old World, Jim Shore, Charming Tails, Baldwin Brass, NeQwa, Byers Choice, Foundations, Elements and more.